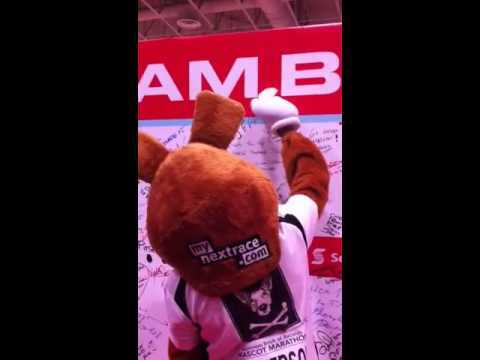 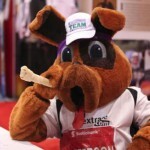 Jefferson the Mascot is the Mascot of MyNextRace.com. 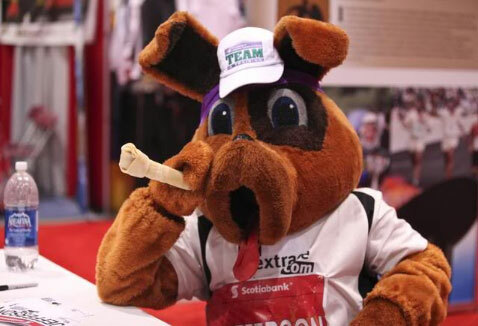 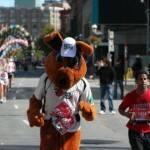 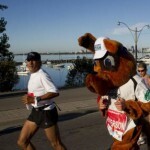 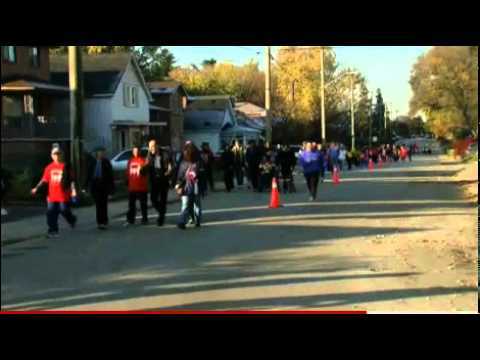 Jefferson came to worldwide fame in October 2010 when he ran the Scotiabank Toronto Waterfront Marathon and smashed the Guinness World Record for running a marathon as a Mascot in a time of 4:16. 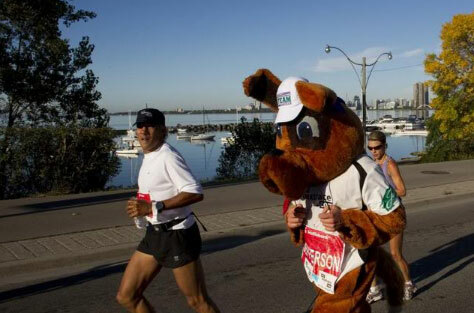 Since this entry on to the world stage Jefferson has made many guest appearances (and even participated) at many local races in the GTA as well as further afield like Miami and Tampa. 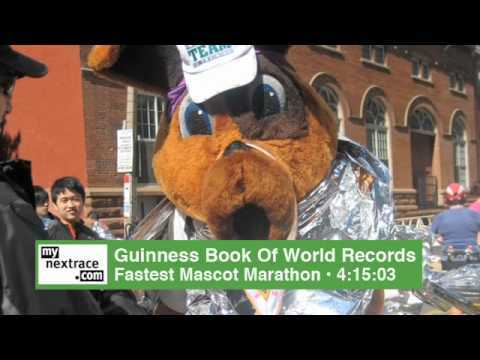 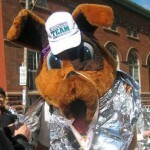 In fact in February 2011 Jefferson, not content with just one world record decided to try to break the Guinness World Record for running a half-marathon as a Mascot. 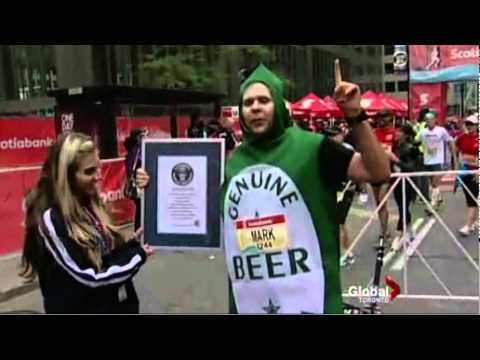 Unlike the record in Toronto this was a much tighter affair and he just managed to break the record by less than 1 min in incredibly humid conditions. 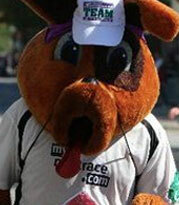 Look out for Jefferson the Mascot at your next race or event! 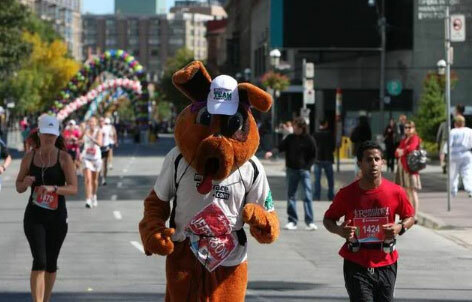 The Thrive Diet endorsed by two-time Canadian 50K Ultra Marathon Champion, Bredan Brazier, is an excellent way to help athletes reach top performance, get maximum recovery and prevent injury during a race. 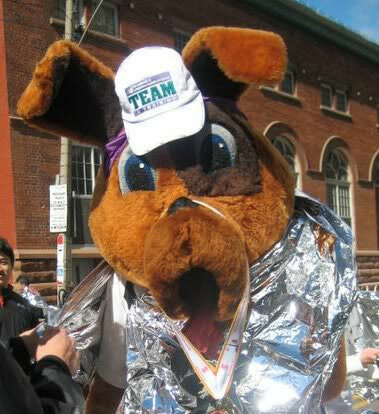 This diet is high in B2, antioxidants, omegas, potassium, calcium, iron AND MUCH MORE!